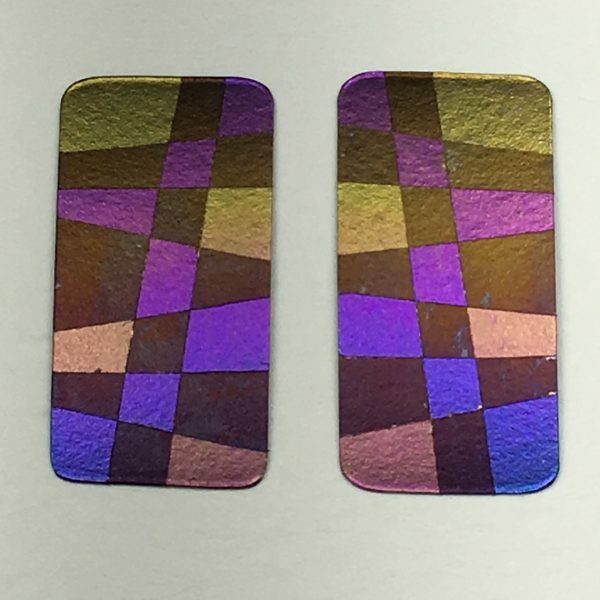 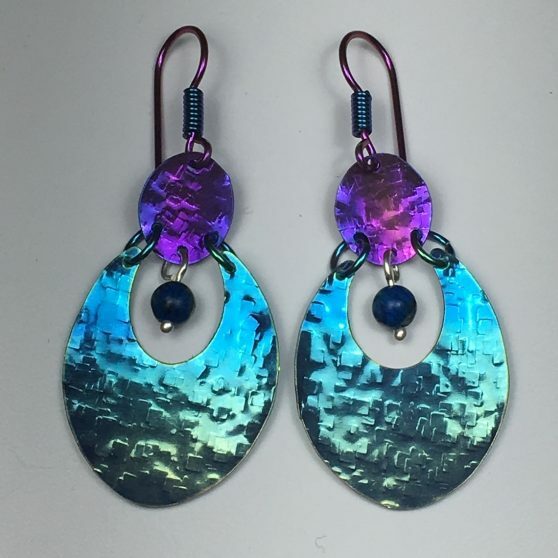 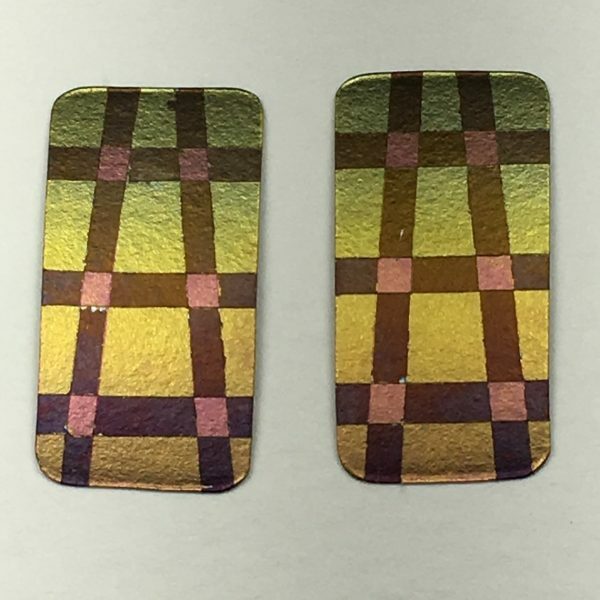 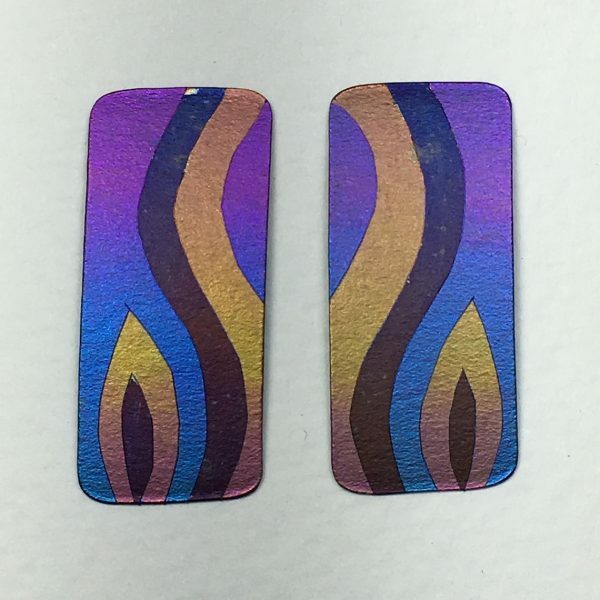 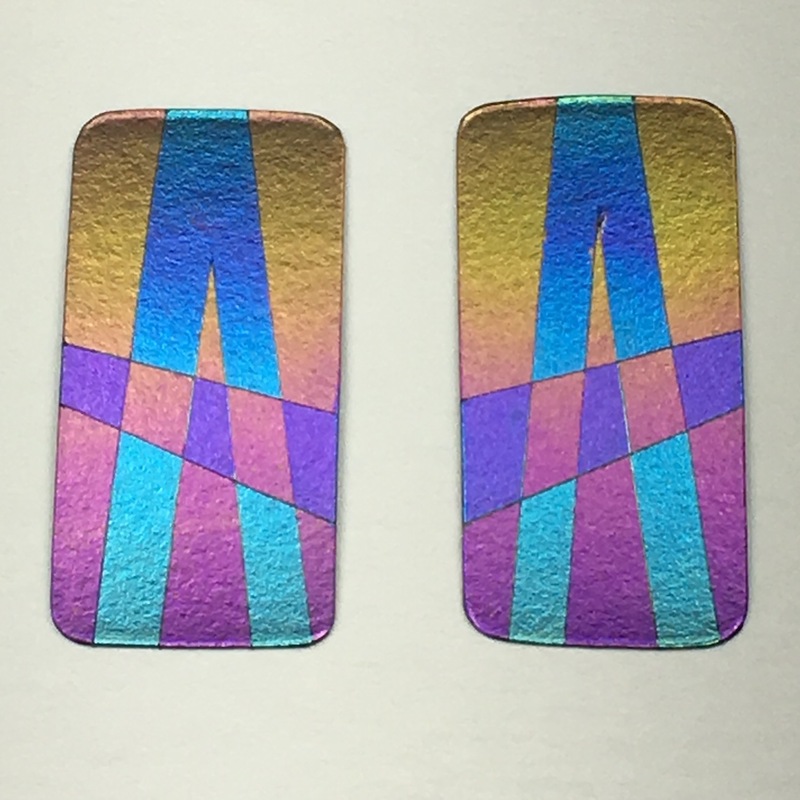 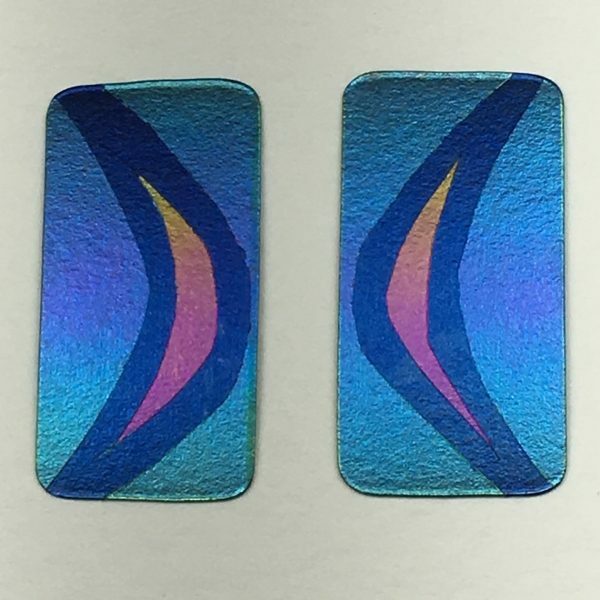 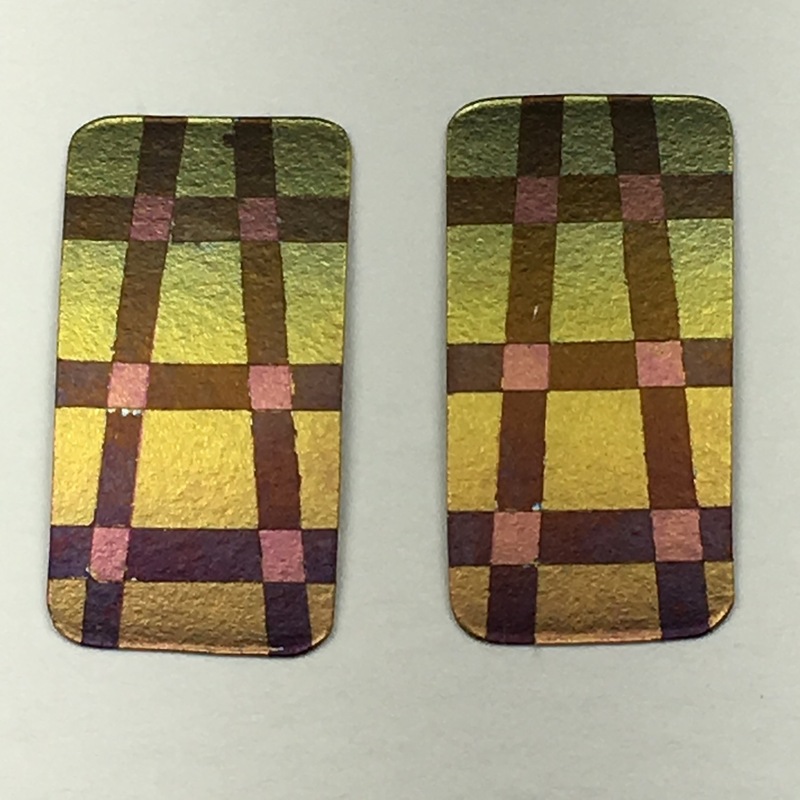 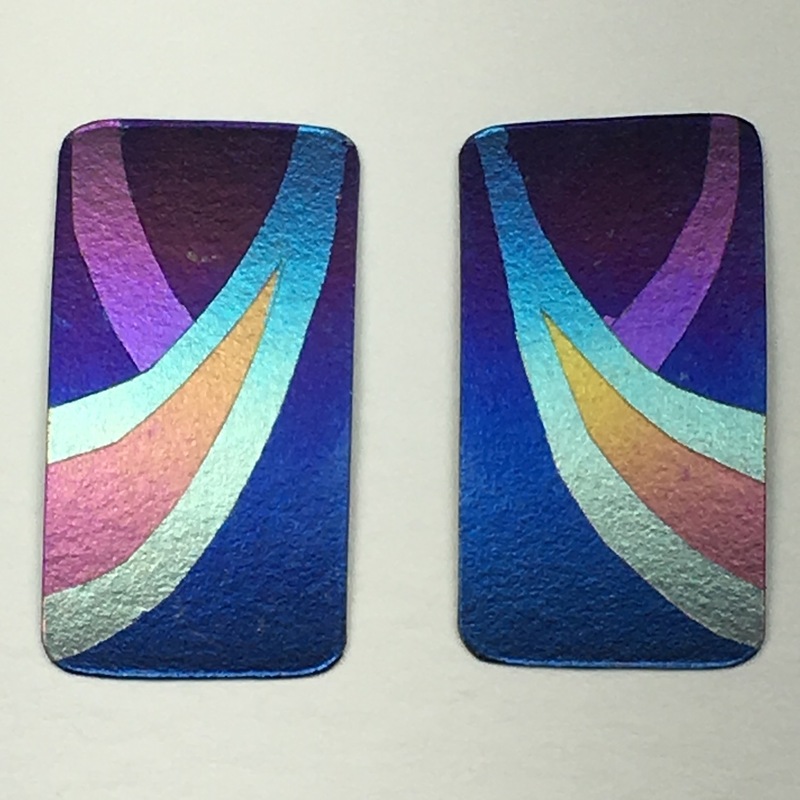 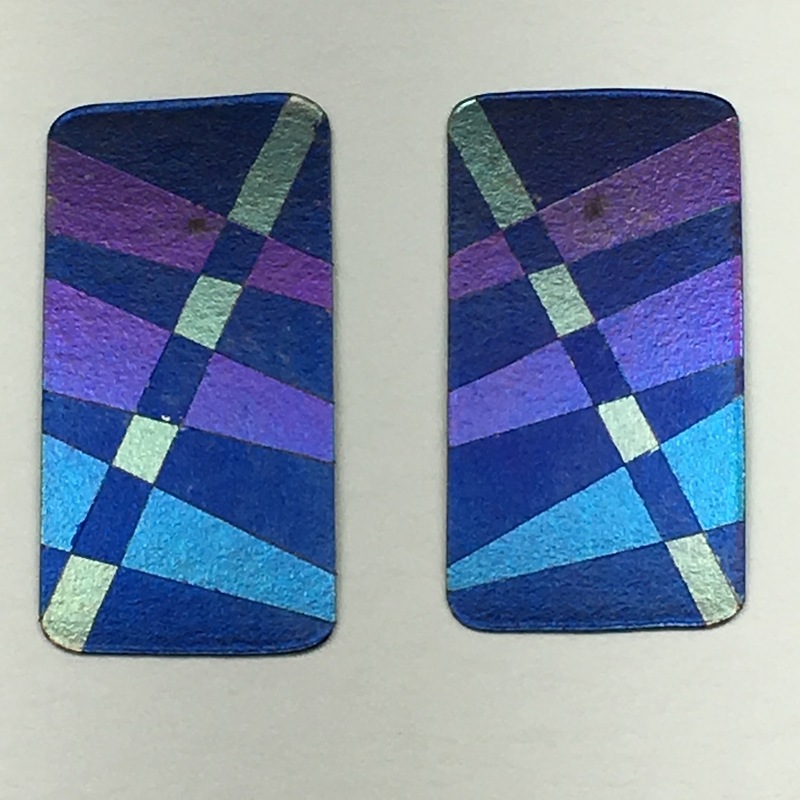 The patterns are created with Anodizing tape as a resist. 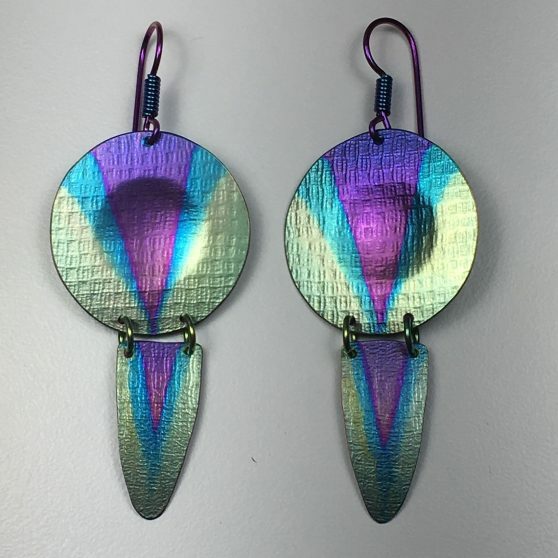 Some are “One of a kind”. 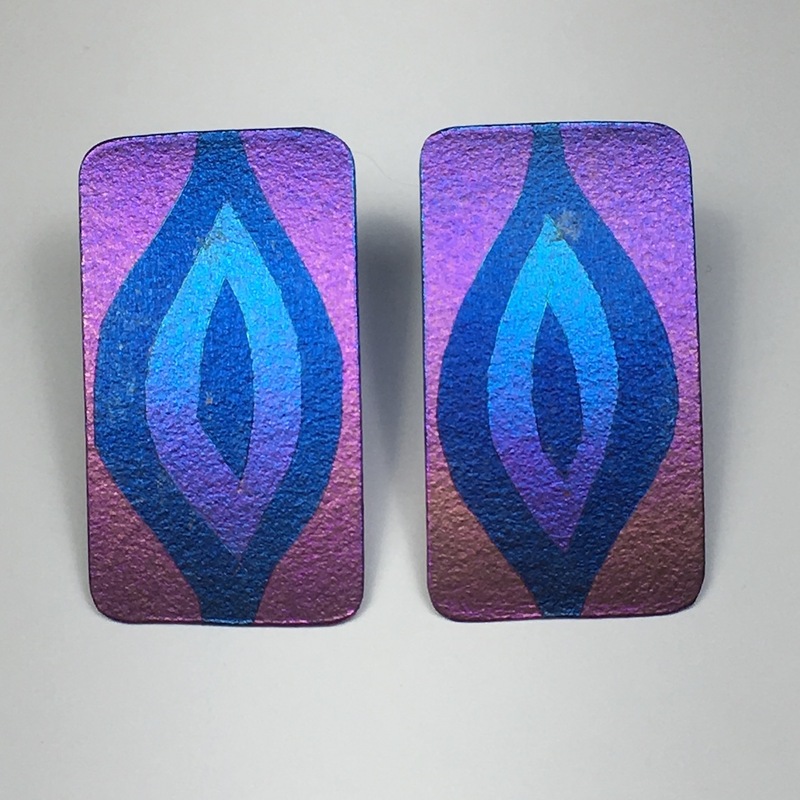 12 x 23mm, post is 5mm from top.